Like all the great alternative rock bands that came before them, like the Velvet Underground, the late Galaxie 500 are probably more appreciated today compared to when they were together over 20 years ago. 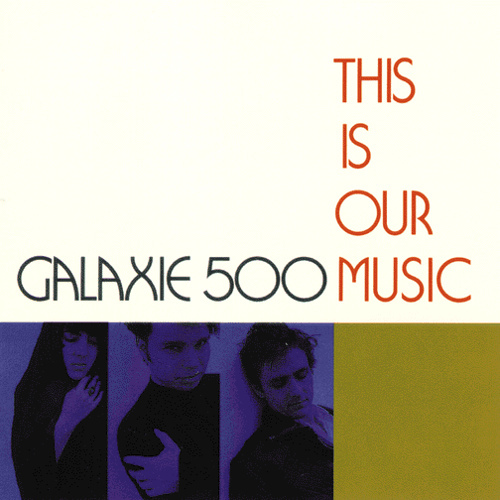 At a time in the late ’80s when pop music was at its most bombastic, with its preoccupation of style over substance (which hasn’t changed much today), or when indie rock was literally underground, Galaxie 500 was the antithesis of videogenic marketing or categorization. Their sound certainly owed much to VU, ’70s punk and avant garde musical stylings thanks to the band’s introspective, yearning lyrics; slow tempos; and jarring yet ethereal drone. The history of the based-band dates back about 30 years ago when the three founders–guitarist/singer Dean Wareham, drummer Damon Krukowski and bassist Naomi Yang–were high school friends in New York. It was when they were at students Harvard in Cambridge, Mass. 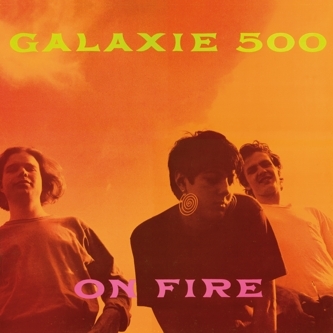 that they formed the band (they named themselves Galaxie 500 after the Ford model car from the ’60s).With producer Kramer (who can arguably be described as the fourth member of the band), Galaxie 500 recorded three extraordinary albums: Today (1988, an album that Sonic Youth); On Fire (1989) and This Is Our Music (1990). During that period, the group played in the U.S. and Europe (including an appearance at the Glastonbury Festival in 1990) while earning critical acclaim. Galaxie 500 broke up in 1991, but over the time, their music has grown in stature–even Liz Phair cited the band in her song “Stratford on Guy” from her legendary debut Exille On Guyville. As if not to tarnish the memory of their former group, the members went on to other musical projects whose sound veered into different directions: Krukowski and Yang became the folk duo Damon and Naomi, while Wareham formed the group Luna. 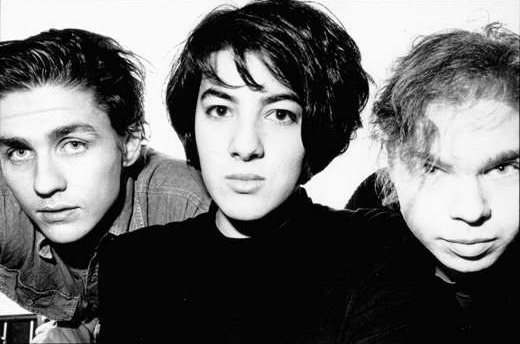 NewBeats had an opportunity to speak with former Galaxie 500 co-founder Damon Krukowski about the reissues as well as the band’s music and aftermath. 1. How long was this reissue project in the making? 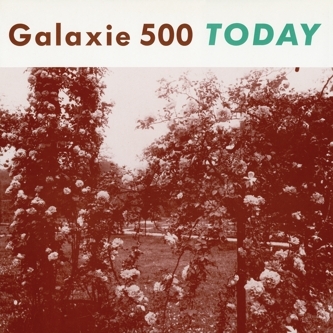 What made this the right occasion to re-release the Galaxie 500 catalog? I believe they had been out of print since the Rykodisc reissues, if am I correct? Yes, our Ryko contract had expired, so the records were briefly out of print. But we put these reissues out — overseas to Domino, here in the US via our own label 20/20/20 — as soon as we could. It wasn’t about timing so much as keeping the records available. 2. I’m curious to ask about the idea behind packaging the studio albums with the live and rarities releases in this manner: with 3+3, it perfectly evens out. That was Domino’s idea, because they have a series of reissues that make use of bonus discs in that way. We’ve also made the three original albums available again on vinyl, which is how we first heard them ourselves. The sequencing of the albums was tailored to having to get up and flip over the side, half-way through! 2. Were all three members involved in the reissues project-particularly, did you and Dean corresponded in terms of how the reissues were going to be repackaged? As we have in the past, we all communicated about it but it was Naomi who put the packages together for us, same as she did originally. 3. Can we expect more archival material in the near future or is this pretty much it? That’s it! Fresh out! We’ve pretty much plundered the archives. And long-time fans should note: there’s nothing on these new reissues that hasn’t been out before. 4. Were you listening to the old albums as you were preparing for the releases and if so, did you feel somewhat nostalgic? My personal nostalgia for these records only seems to crop up at the odd moment here and there, these days — some tracks jumped out, as I listened through again, but I admit that with the passage of time I’m finding myself more distanced from that music. I suppose there’s just so much music we’ve made since. I think I enjoyed the live recordings this time, the most — I had forgotten a lot about the band’s live sound. pressure for the band to go “mainstream” to reach a wider audience? I think the pressure for a band like ours, once you have even a little success, is not so much to go mainstream, as to continue to sound exactly like yourself. And that can become dull, or stultifying, quickly. But really Galaxie 500 wasn’t around long enough to really suffer from that, I think. 6. There is no doubt that all three studio albums are great and stand on their own. Is there one of the three that you are partial to, –that the band really hit a high watermark–and why? On Fire is probably the album all of us feel fondest of, because of the happy circumstances it was made under. But I think I’m happier listening to “Cheese and Onions” now — it can still make me laugh! 10. How important was Kramer in terms of shaping the sound of the records? He was as big a part as any producer could be. We gave him carte blanche. 11. What are your memories of writing the music and recording the song “Blue Thunder”? That whole period was a happy one for us — our songwriting collaboration was easy and natural — the recording process exciting and fun. Kramer had a friend of his add the sax solo, which took us aback but which we enjoyed — that’s the mix we chose for the single and video, although we chose to leave it off the album itself. expecting it to be a breakthrough hit? No, we had no such illusions. It starts off the album because it seemed hard to put anywhere else — there’s a different quality to that arrangement and mix, I think. It turned into a single through the process of recording, more than in the writing — it just got bigger as we worked on it in the studio. 11. In looking back, do you feel that the band ended prematurely, or do you think it was best that it ended on top, the result being a legacy that grows in stature? Yes to both — it ended prematurely, at least in that it ended suddenly and unexpectedly for me and Naomi — and yes that sudden end seems only to have increased its mystique, somehow. Although had we lasted, who knows what would have happened next? We could have lost all our fans, or gained many new ones, depending on the next development. 12. Do you hope that the reissues will further reignite interest in the band from both old fans and/or those listening to Galaxie 500 for the first time? I am looking forward to seeing how the band sounds to people today — music has changed, and there’s no telling really how we fit into that now. 13. Are you and Naomi working on a new Damon and Naomi record or project since the Sub Pop years compilation and the studio album Within These Walls? Yes, thanks for asking — we’re in the midst of writings songs for a new album. We’ll be on tour in Europe in May, and hope to preview a couple of the songs live. For more information on the Galaxie 500 reissues, visit the 20/20/20 Records Web site. Also check out Damon and Naomi‘s official Web site as well as A Head Full of Wishes, a great online resource on Galaxie 500 and the former members’ current solo projects. Additional source information: Byron Coley’s liner notes to Uncollected Galaxie 500; liner notes to The Portable Galaxie 500 (Rykodisc versions). Nice interview. Thanks. And Thanks for the linkt o A Head Full of Wishes too!